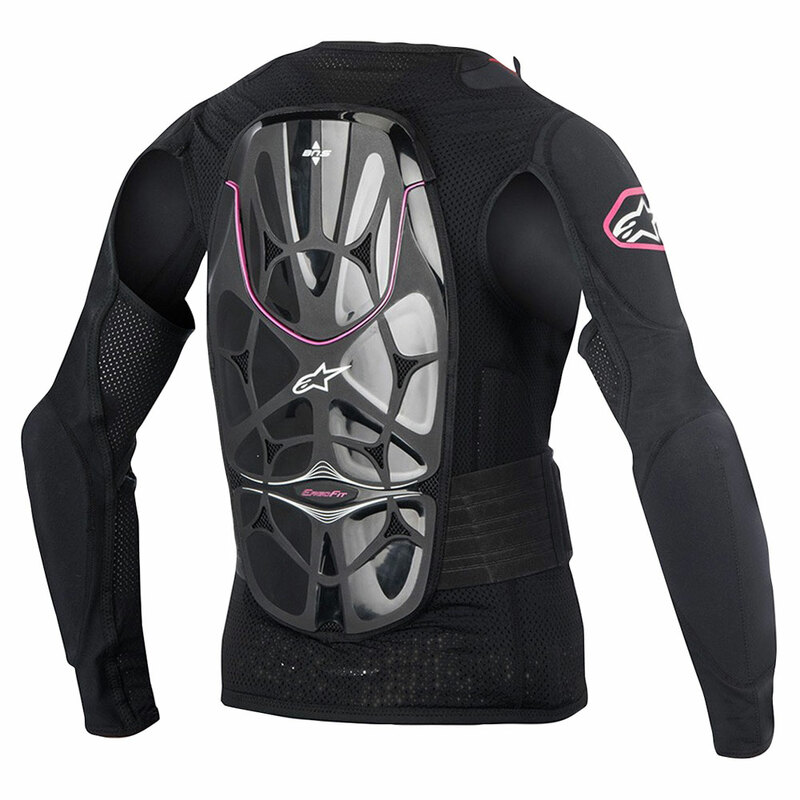 Ultra-lightweight, highly ventilated and fully optimized for specific women’s fit the Stella Bionic Jacket features Alpinestars’ new innovative ‘grid’ protection technology that is CE certified for excellent resistance to impact and roost. Incorporating PU backing foam throughout, the Stella Bionic has a newly developed kidney belt for a safe and improved ergonomic fit. 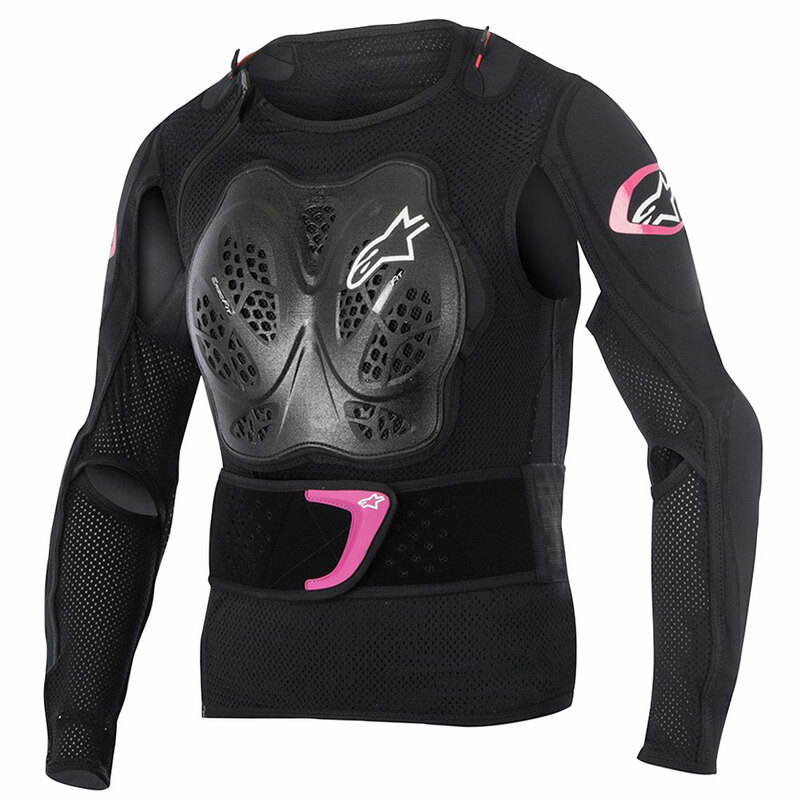 • Specially designed, ergonomic hard shell women-specific chest protector. CE certified against the EN 14021 (stone shield). • CE certified back protectors feature innovative 3D ‘grid’ structure and constructed from a hybrid polymer and EVA foam compound for weight-saving, airflow and which molds to rider’s body shape. 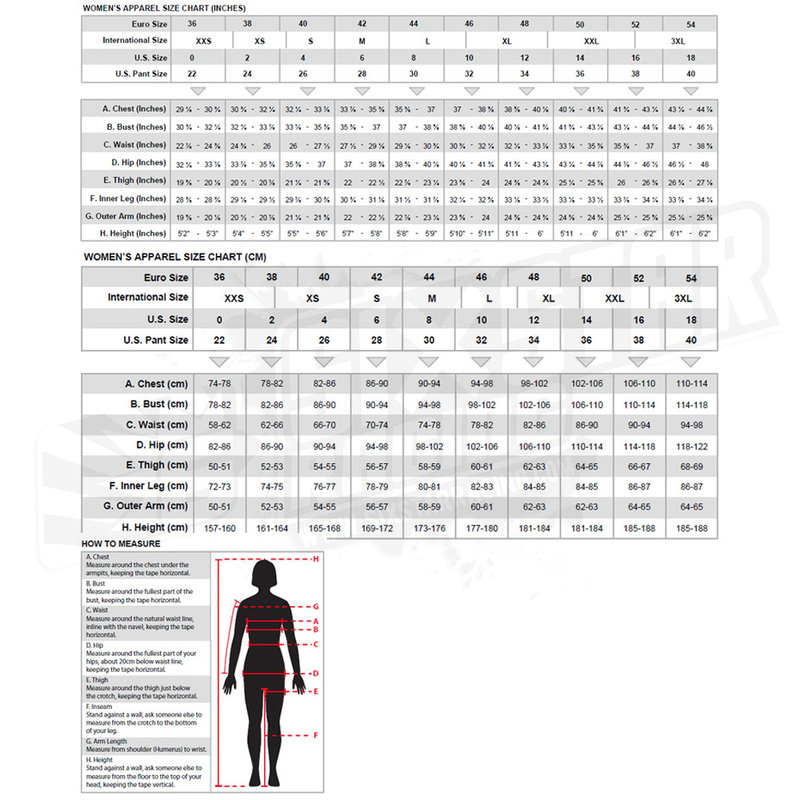 • Back protector is CE certified to Level 2 standard. • Newly developed shoulder and elbow PU foam padding incorporating channeling design for increased flexibility and cooling. Shoulder and elbow pads CE certified to the EN 1621_1 : 2012 standard. • Removable back padded panels accommodate fitment of Alpinestars BNS. • Soft touch BNS puller for an easy and safe engagement with the BNS.